Free radical damage is a major cause of premature aging. Everyday our skin is attacked by free radicals from various sources (e.g. the sun, pollution etc), therefore it is necessary to arm yourself with effective anti-oxidant protection in order to win the battle against wrinkles and loss of elasticity. 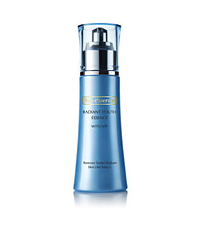 Radiant Youth Essence with ATP contains 95% pure Green Tea extract with strong anti-oxidant properties to protect against free radical damage. The essence may feel oily at first, but in just 1 minute, it will be effectively absorbed by the skin, providing a surge of moisture and anti-oxidant protection, while making your skin as smooth as a baby’s! This entry was posted in 1 and tagged BIO ESSENCE RADIANT YOUTH ESSENCE, Fr3b Singapore’s 1st Sampling Concept Store, Fr3b.com, free beauty samples, Free giveaways, free samples, freebies, S’pores 1st Sampling Concept Store, singapore free beauty samples, singapore’s 1st online sampling platform. Bookmark the permalink.